Home » What is #MyBKJourney? Calling all Baby K’tan parents who just can’t live without their BK carriers! We are looking for you to share your stories! How does your Baby K’tan Baby Carrier help you bond with your baby? Do you have a unique circumstance that has made babywearing essential to your child’s care? Has babywearing simplified your daily life and allowed you to get stuff done?! Because, let’s be real, we know parents have a lot to get done. 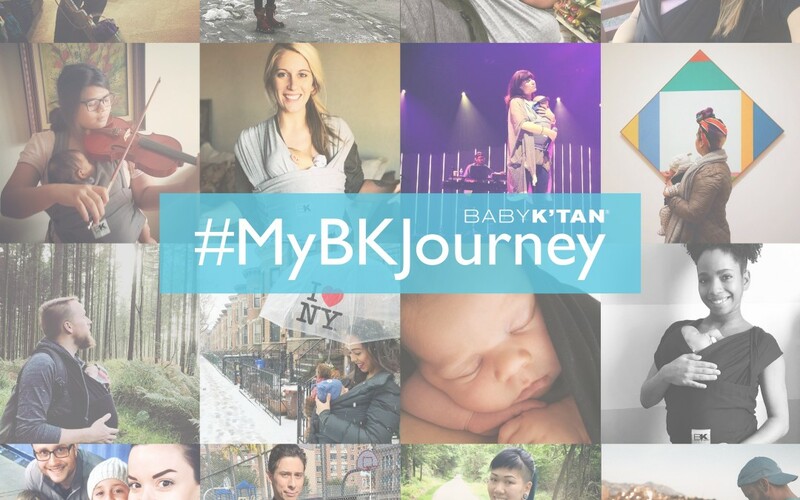 Share your day-to-day adventures on social media using the hashtag #MyBKJourney and you could get featured on the Baby K’tan Blog or on our social channels. Don’t forget to tag us at #sgbabyktan#babyktansingapore #happycoastkids too! There are so many ways you can share. Does wearing your baby help you squeeze in some much needed self-care like having a cup of coffee, reading a book or putting on some lotion? If self-care is wrong, we don’t want to be right! We hope you are making it a part of your daily routine. Do you love to travel around the world while wearing your baby? Show us where you have been and where you are going! Maybe you are encouraging your special needs child to meet their milestones through babywearing, like our founders. Share your story and imagery using the hashtag #MyBKJourney on social media and tag us. We may feature you throughout 2018 on our blog and social. We want parents to be inspired to get out in the world, encourage healthy bonding and development, to not feel limited in their daily lives and see the many ways they can live their own Baby K’tan Journey. Will you join us in 2018 and share your Baby K’tan Journey?